There never was a person who did anything worth doing who did not receive more than he gave. Despondency is ingratitude; hope is God's worship. Do not look back on happiness or dream of it in the future. You are only sure of today; do not let yourself be cheated out of it. New Updates! (4/26/2019) We've been working really hard on completing our membership system so you can submit quotes and keep track of them. Once this is complete in the coming weeks there will be a lot more quotes by Henry Ward Beecher and other authors. We've also changed the sorting on the site so you now see the latest Henry Ward Beecher quotes first. 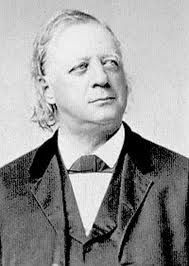 Our goal is to have the best Henry Ward Beecher quotes on the web!